Founded in January 2011, CONCIS is a sensual saga of fluid drapery and sophisticated tailoring where details are intertwined with hints of draping and folding that come together as soft sculptural forms highlighted by elaborate cuts. If femininity is the heart of CONCIS, its soul is a contemporary experiment with traditional shapes where one line plays into another to rewrite the very essence of elegance through new silhouettes. Delivering quality to the wearer, CONCIS is a juxtaposition of the complexity of draping with a minimalistic flavour. With her roots in Vietnam, Hoai Vo grew up in Belgium. After finishing her high school, she moved to Berlin to expand her horizons and was accepted at the prestigious Kunsthochschule Berlin Weißensee from where she graduated with a Meisterschüler title. 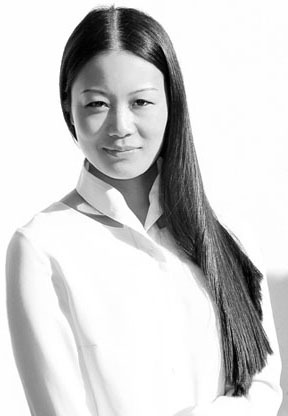 Among many of her achievements, Hoai Vo completed an exchange program at the NABA, Milan and has been a finalist in many prestigious competitions such as the Start Your Fashion Business (2011), the Mittelmoda Fashion Award (2009) and the Createurope Fashion Award (2009). She was the winner of the Textile+Fashion Innovation Award (2011), the Wilhelm Lorch Foundation Award (2009) and the DAAD Award (2006) in Germany. Proving to be a success already as a student, Hoai had limited editions of her designs made available for purchase. With increasing demand and acclaim, she decided to set up her own label after graduation and walk down a path of creative independence and excellence.